This article reports on the JASAL 2016 Annual Conference held on December 10, 2016 at Konan Women’s University in Kobe, Japan. 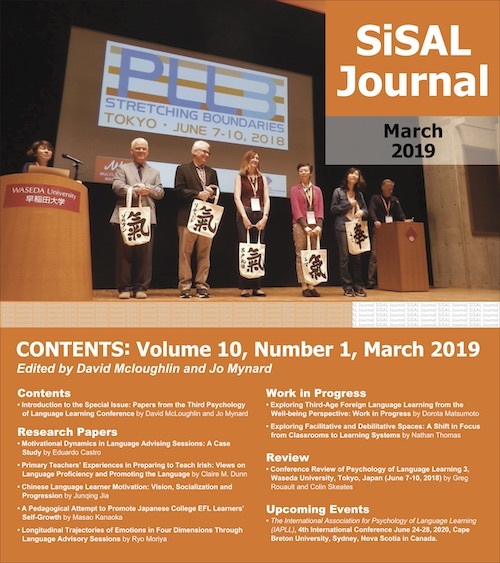 JASAL (Japan Association for Self-Access Learning) is a non-profit professional organization devoted to promoting self-access learning in Japan. The conference consisted of opening remarks by JASAL president Hisako Yamashita, a plenary talk by Dr. Jo Mynard, twenty oral presentations on various self-access learning topics, twelve poster presentations, and tours of the e-space, which is a self-access center at Konan Women’s University. Ninety-five participants from over forty institutions attended. In this summary, the author reports on the day’s events, featuring select presentations on SALC design, leadership, integration into curriculum, training, and lessons learned. The JASAL (Japan Association for Self-Access Learning) 2016 Annual Conference, held on Saturday, December 10, 2016 at Konan Women’s University, was the second stand-alone conference by JASAL and was well-attended by 95 participants including teachers, administrators, and students from all over Japan and Asia. The conference sought to help directors, teachers, administrators, and learning advisors share ideas on self-access and gain insights on how they could best adapt to a changing landscape of self-access learning. The morning began with a tour of e-space (a self-access center at Konan Women’s University), followed by opening remarks by JASAL president Hisako Yamashita introducing the history and mission of JASAL, a plenary talk by Dr. Jo Mynard, and ten oral presentations. After lunch and a second tour of e-space, twelve posters were presented simultaneously in an open room, and finally, ten more presentations were given. The “theme” emphasized at this year’s conference was embodied by Dr. Jo Mynard’s observation that self-access is changing and shifting and that there are many opportunities that lie ahead. She stressed that in the near future, SALCs will need to become social hubs where students could come for social, emotional, and learning support. Mathieson shared how Nara Medical University (NMU) ran their English language learning space (ELS) and what roles teachers played in shaping their space. Citing Littlewood (1999), Mathieson discussed the concept of learner autonomy and highlighted the difference between reactive autonomy versus proactive autonomy. Unlike reactive autonomy, where students take control of their own learning after a trajectory is first established, under proactive autonomy, students have complete control of the direction in their language learning. He explained how ELS lunch time chats at NMU were run by students where they could engage in various activities such as studying, playing English games, participating in special events, and eating food. In sharing a story of how a student took a more proactive approach when the student asked how ELS lunch time chats could be more lively, Mathieson suggested that students are not as reactive as educators might think in their English learning. He emphasized the goals of NMU’s space, such as encouraging Japanese students to talk together in English, increasing learner responsibility, and supporting teachers as role models and advisers. Believing that self-access centers should be spaces where students would want to hang out and speak English (Cooker, 2010), Mack and Varney discussed how they created a friendly atmosphere at their self-access learning center (SALC) at Ritsumeikan Asia Pacific University (APU). For example, an open space and comfortable chairs were utilized to make the space inviting. To encourage students to have a clear study purpose, a physical tree of English goals stood tall in the middle of the SALC where students could write their English learning goals on a piece of paper and leave their notes on the tree. The SALC also had rooms with a specific color scheme for each room (the blue room was the movie room). Mack and Varney discovered that such a layout didn’t work as expected and that additional changes were necessary to have a quieter, more user-friendly space. Listening booths were installed, a concentration zone was established, and privacy with shaded windows were implemented in study areas, which also added to the versatility of spaces that could accommodate different learning styles and preferences. Furthermore, to create a more inviting place, the SALC kept the door open throughout the day, a greeter and receptionist position was created, and resources in the SALC were centralized. The presentation concluded with some simple tips to improve the local school’s SALC, such as opening the door and thinking about it from the user’s perspective, developing a question of the week or question of the day, using Facebook, and involving student workers in decisions. Tweed and Yamaguchi focused on the importance of designing learning environments that provide space for communicative language usage. They explained how Meijo University designed and arranged their space, Global Plaza, which opened in April 2016 at two campuses, and discussed several frameworks and dimensions that one should consider when designing an effective self-access center. One of the frameworks Tweed and Yamaguchi referred to was the one by Knapp, Burgoon and Saine which considered “formality, warmth, privacy, familiarity, constraint, distance, size or volume of space, arrangement of objects within the environment, materials used in the environment, amount of linear perspectives, lighting and shading, color, temperature, noise, and sensory stimulation” to be all important (Knapp, Burgoon & Saine, as cited in Hickson, Stacks & Moore, 2004). The presenters gave examples of how the positioning of furniture affected the quality of student engagement in activities. For example, in areas designated for quiet reading, rearrangement of the chairs into a straight line encouraged more involvement with quiet reading. For social areas, to improve the facilitation of social interaction, several tables and chairs were replaced with rectangular orange sofas positioned in several islands. Tweed and Yamaguchi explained how a face-to-face arrangement was linked to competitive or confrontational conversation, while having an island of four sofas with eight corners created a space for more intimate conversation. These measures increased the daily average usage of the SACs at both areas. Created a logo for their campaign and made badges and posters to promote e-space all over campus. The responses from students at large were positive. Many students said that compared to the previous year, e-space was a fun place to talk in English, more comfortable, interesting, and relaxing. The awareness of the e-space also increased across campus. While it was difficult to motivate all students with their English learning, the student committee was pleased that they could create communities within e-space, which are very important to the learning process. 1) Students were given empowerment at an early stage of development. 2) Student diversity and leadership training was instrumental in helping their SALC grow into a community of language learners. 3) The variety of experiences and talents of its members enriched the learning community. 4) The value of inclusiveness was an important cultural value implemented early so that all students of the university could participate. 6) Selling English didn’t work, but selling dreams and goals did. 7) A strong belief in leadership training in which students had opportunities to lead initiatives and be trained as leaders was essential. 8) Strong development of problem solving skills and open lines of communication were effective in raising student leaders. Tomecsek’s presentation demonstrated that a SALC can thrive with strong leadership skills. Sano of Soka University explained how she integrated self-access learning in her beginner-level English course for freshmen. Her students’ TOEIC scores were below 280, averaging 200, and the class consisted of 20 Japanese male EFL learners. While the course was primarily a TOEIC-based course, some communicative goals were included in the syllabus and visits to a self-access conversation program accounted for 10% of the learner’s total course grade. Sano noted how in her ideal situation, students would conduct some personal reflection in the classroom and participate in a self-access conversation program, which would in turn, lead to further personal reflection within the classroom. Unfortunately, she discovered that students were not participating in Soka University’s SAC due to low confidence, fear of risk-taking, lack of English ability, low motivation, and lack of reflection skills. To overcome these obstacles, Sano provided a series of speaking strategy training in class and focused on a topic per week that matched the speaking topic used in the school’s conversation program. She also created a log sheet that covered details from strategies and communication skills learned in class. From her observations, the students began to show curiosity in English and attend self-access programs while using strategies and skills in communicating. While a few students still resisted and a widening gap between learners’ proficiency levels began to emerge, Sano remained persistent by continuing to address emotional issues and investigating both motivating and demotivating factors in speaking practice. Ultimately, Sano’s recommendation for those who are in similar situations is to make use of personal findings in future lesson planning. Kato presented about a new mentoring program for experienced learning advisors who are trained to engage in reflective dialogue. Engaging in reflective dialogues can ultimately lead to transformational advising. Transformational advising helps students see beyond language proficiency, challenge existing beliefs on learning, and ultimately make changes in the nature of one’s learning (Kato & Mynard, 2016). Kato shared her experience advising a student who wanted to work in the fashion industry but was struggling with her English learning. Kato helped the student become aware of her own courage and strength and highlighted an unforeseen aspect of the student’s language learning. This increased the student’s motivation to study English which Kato identified as a transformational experience. In the presentation, Kato detailed her mentor training program which she developed and conducted with several experienced Learning Advisors. Kato’s mentor training program follows a basic learning advisor professional development course on 12 strategies in advising and an advanced course where case studies are reviewed and studied which she both co-developed with Hisako Yamashita. Kato’s mentoring program is part of a continuous professional development program that experienced language advisors can partake in. A mentoring program can be quite beneficial in maintaining and improving learning advising service in a SALC. Hammond showcased the SALC experience at Kanazawa College of Art, a small college that focuses on art and creativity. The English Help Center at Kanazawa College of Art was established in 2010 and their SALC was called the Language Learning Space. A one-hour session from 5:30pm to 6:30pm is held once a week where students speak in English about any topic they want to discuss. Between six to ten students attend on a weekly basis. Students come to show and tell on creative works, describe current projects and assignments, explain technical procedures of art, design, and traditional Japanese craft, as well as develop friendships with exchange students. Interestingly, the SALC program extends beyond the SALC space. Hammond discovered that getting out of a fixed designed space can be very helpful in sparking curiosity and fostering further future discussions. He also articulated convincingly that when students have something to share and can express their creativity in various spaces, student motivation in language learning increases. Mach and Yamamoto presented on lessons learned from the first year after launching a large-scale SAC, The Global Zone Porte Language Loft, at Konan University in September 2015. The SAC at Konan University was designed as three multi-functional spaces: The Language Loft, the Ajisai Room, and the Global Learning Commons. The Language Loft is the center for opportunities for beyond-the-classroom English experiences on campus. The Ajisai room is a space where international students and Japanese students can interact and build relationships. The Global Learning Commons is a place where students can relax, meet friends, have a snack, and think globally. Mach and Yamamoto explained that some of the advantages of having an open floor loft space on the first floor was accessibility, flexibility, and allowance of students to overflow into other areas, while a disadvantage was the noise level. However, the SAC has had high involvement from students, with 20 exchange students who work as tutors and 30 student workers as assistants. Full-time faculty are involved with lunch periods and special events and part-time teachers offer non-academic workshops and lectures as well. To encourage students to use the Language Loft, stamp cards are used in which ten stamps is equivalent to 10% of the grade for first-year students taking English communication classes. To earn a stamp, a student could make a visit to the SAC, complete an English learning task such as filling out lyrics to an English hit pop song and answering questions about the song, or attend an event. The main lessons that Mach and Yamamoto learned from their first year was that tasks for students clarified visitation purposes and motivated students to attend. Secondly, LINE, a popular social media app in Japan, was extremely effective as a promotional tool. The poster presentation session took place following lunch and lasted for an hour with six poster presentations being presented simultaneously in the first 30 minutes and another six poster presentations presented simultaneously in the latter 30 minutes. One of the poster presentations was titled, “Functional, Emotional, and Pedagogical Aspects in Designing Materials to Promote Self-Access Language Learning,” presented by Azusa Foale of Kokugakuin University, Yaeko Watase of Hiroshima Bunkyo Women’s University, and Yukari Rutson-Griffiths of Hiroshima Bunkyo Women’s University. The presenters proposed the thesis that SACs need to have materials that are accessible, usable, well-maintained, durable, and fulfill the emotional as well as the pedagogical aspects of student expectations. Display and arrangement, colors, properly used images, as well as alignment are all very important in helping learners feel comfortable and avoid distraction. Another presentation was titled, “Integrating Self-Access Learning Center Resources to Promote Learning Autonomy and Identity Expression,” by David Cooke. Cooke introduced the SALC at Kanda University of International Studies and how he successfully integrated the center’s resources with an identity and language learning course he had taught. He used gallery presentations, panel discussions, the free conversation area, the multilingual communication center, presentation room, and computer lab to help students better understand their identities and increase their abilities and willingness to communicate. The JASAL 2016 Annual Conference was a forum in which many educators could share ideas, connect with one another, and help encourage each other in their pursuit of improving self-access learning at their local institutions. The community is patently growing, and teachers, administrators, student advisers, as well as students are being exposed to self-access and experiencing the benefits of self-access more so than at any time in its history. The JASAL committee did an exemplary job in planning the annual event, creating a remarkably detailed and considerate conference program that had thought-provoking content as well as carefully-crafted time that allowed participants to connect with one another and build community with each other. As the future of self-access learning appears to evolve towards more social opportunities with an emphasis on the emotional side of learning, students will ultimately benefit when educators of autonomous learning can come together regularly and invest in one another, modelling a transformative community which could lead to further transformational experiences in the field of language learning. Michael Lin is an adjunct English instructor involved with SALCs at Kobe Shoin Women’s University, Konan University, and Konan Women’s University. He has been teaching EFL in the Kansai area for the past five years. He enjoys presenting about topics that students are interested in at SALCs and finds joy when his students find community and increased motivation. His research interests include self-access learning, learner autonomy, tasked-based teaching, and law and medical content based teaching. Hickson, III, M.L, Stacks, D. W, & Moore, N. (2004). Nonverbal communication: Studies and applications (4th ed.). Los Angeles, CA: Roxbury Publishing Company. Kato, S. & Mynard, J. (2016). Reflective dialogue: Advising in language learning. New York, NY: Routledge.